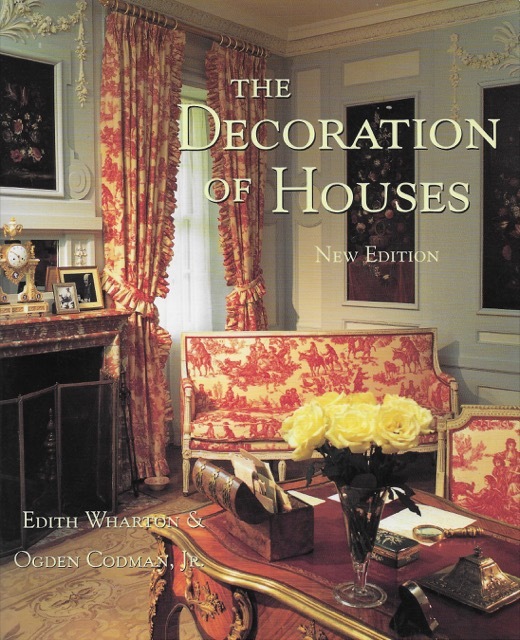 Cover of “The Decoration of Houses” by Edith Wharton and Ogden Codman, Jr.
A beautifully decorated room in Edith Wharton’s home The Mount. He points to their assertion that decoration can only be set right by a close study of the best models. One of these “best models” is Wharton’s home, The Mount, with its interiors designed by Wharton and Codman. The decoration is informed by classic Italian and French influences, and based upon principals expressed in their book. 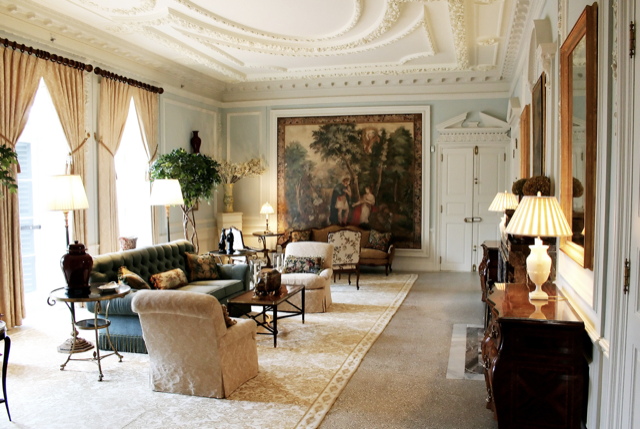 The website dedicated to the property and to Wharton’s legacy as an author notes how the “fundamental premise of that influential work is that interior decoration cannot exist independent of structure; that ‘architectural features…are part of the organism of every house, inside as well as out.’” You can see how this theory is expressed so eloquently in the room shown above. We at Currey & Company have the same conviction, and we’ve noticed how so many of the best models of design we’ve seen lately are being produced within rooms in a number of show houses that feature our products. We can certainly say decoration is set right by the talented designers who create these beautiful spaces, which exude balance, scale, harmony and proportion! You can see for yourself in the above video produced by CBS New York featuring a few of the rooms within the 2017 iteration of the Holiday House NYC. 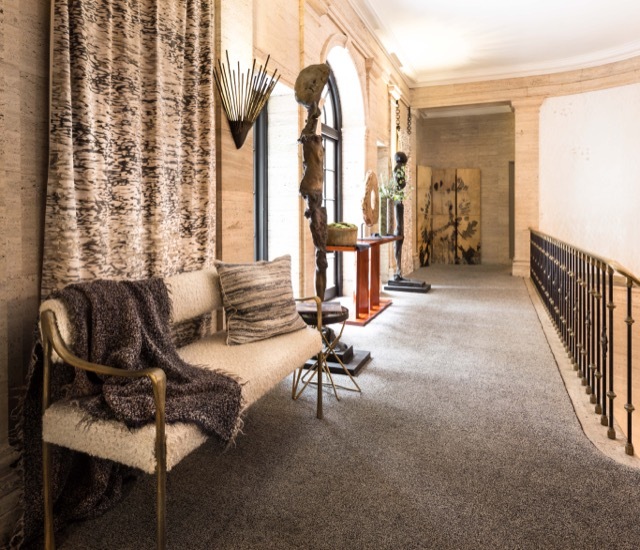 In the above space in this New York City show house, designer Cynthia Spence placed our Karlson screen at the end of the long, narrow expanse, the piece seeming more a work of art than a folding screen given the dynamic pattern splashed along its surface. The interplay of dark and neutral hues complements the same juxtapositions in other elements in the room—the metal in the sculptures and on the handrail of the stairs contrasting the lighter walls and nubby pale fabric on the settee, for instance. In the above space in the Kips Bay Palm Beach Show House, conceived by designer William Steele, our Monarch desk is the center of attention within the milieu, which also has contrasting elements of light and dark. Our Domani wall sconce is lit on the mirrored wall surrounding the fireplace mantle, its time-honored French design contemporized by its pared-down lines making it so fitting for this room. 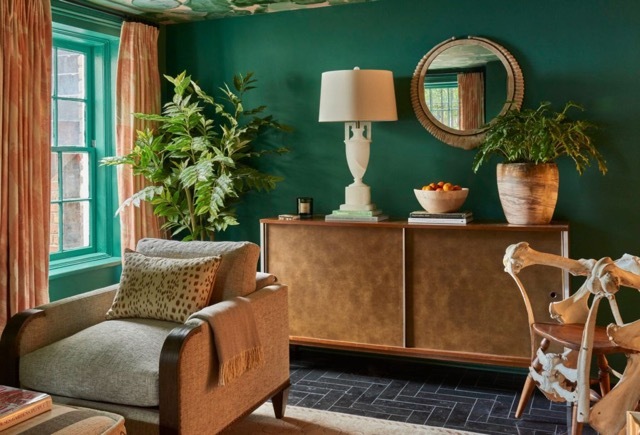 The showhouse produced in conjunction with the Southern Style Now Festival drew rave reviews from everyone who toured it and we loved seeing our Clifford table lamp front and center in Denise McGaha’s space (above). The room has such depth and exudes such warmth that the timeless urn shape of the lamp in pale marble is luminous in its spot on the mid-century Paul McCobb credenza from Savannah dealer A. W. Johnston & Co. even when it’s not lit. Denise says she wanted the room to feel enveloping and cozy like the experience of being underwater looking up to the waterlily wallpaper covering the ceiling. 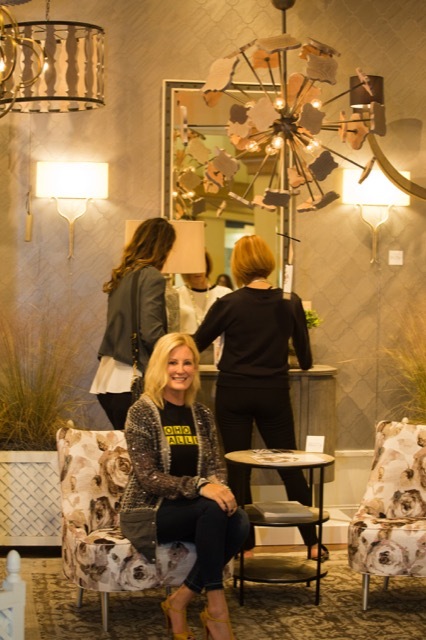 Jamie Beckwith with her new Currey & Company collection, which launched during High Point Market. 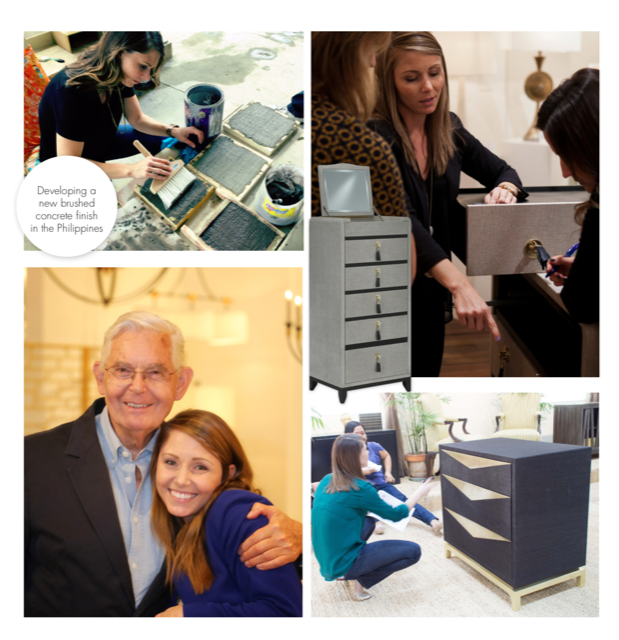 The Atlanta International Gift & Home Furnishings Market gets underway on January 9th and lasts through the 16th. You’ll find us in the AmericasMart Building 1 in Suite 14F10 for the duration with the lights gleaming overhead and the ambiance lively, particularly on Saturday, January 13, from 3 to 6 p.m. as we raise a glass to Jamie Beckwith and her new collection. Meet Jamie and learn more about this leading trendsetter in the realm of luxury interior design, and the founder and design visionary behind the Jamie Beckwith Collection. If you haven’t already, you’ll want to see how Jamie has incorporated her floor tile designs into the lighting she has designed for us. Aimee Kurzner is up for an ARTS Award during Dallas Total Home & Gift Market. Our showroom in the World Trade Center in Suite 10000 will be buzzing during Dallas Total Home & Gift Market from January 17th through the 23rd, and on January 18th, the air will be absolutely electric with Diane Keaton discussing her book The House That Pinterest Built. Revving up the atmosphere the next day, we are up for several ARTS Awards, including a nod for our director of furniture Aimee Kurzner, one for lighting and one for Interior Designer, Denise McGaha. The winners will be presented during the 29th Annual ARTS Awards Gala on Friday, January 19th at 6 p.m. Stop by the showroom for cocktails from 3 to 6 p.m. beforehand to help us celebrate. 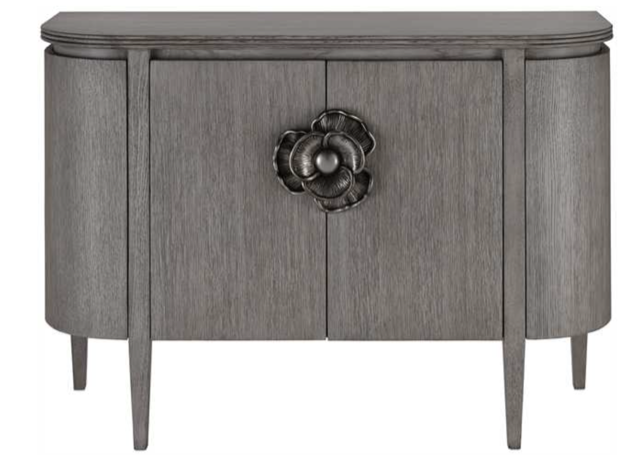 It’s as if Wharton and Codman were describing the pieces envisioned by this talent among our design team with the words they penned to close their book, as Aimee’s furniture is most definitely “regulated by the laws of harmony and proportion,” case in point is the Briallen Demi-Lune (above) in the new winter gray finish, which is one of our current bestsellers. On Saturday, January 20th, from 3 to 5 p.m., you can be the first to get a sneak peek at the new Denise McGaha Collection that will debut in October 2018. The noted Dallas designer will be on hand to share her designs and inspirations for the collection. You’ll get a big dose of Texas hospitality in conjunction with a big Currey welcome, so don’t miss the fun! 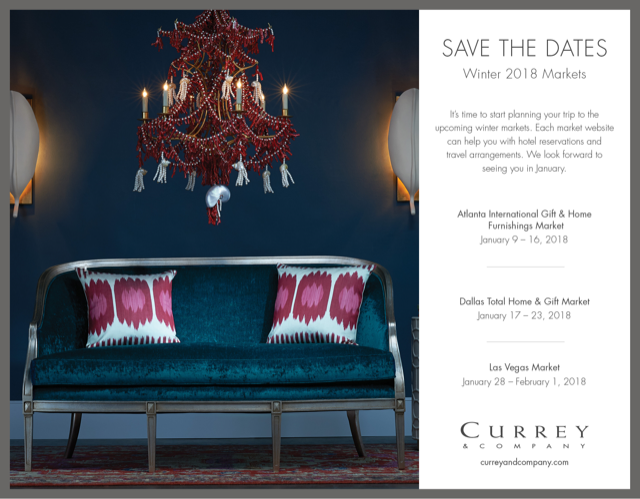 We’ll be in the swing of things during the Las Vegas Winter Market from January 28th through February 1st in Building C in Suite 398 so be sure to stop by if you’re in town, particularly on Monday, January 29th, from 3 to 6 p.m. We’ll be paying homage to the legacy of Hollywood designer Phyllis Morris with the new Phyllis Morris Collection. Meet the famed trendsetter’s daughter, Jamie Adler, and learn more about the fascinating life she lived with her extraordinary mother. 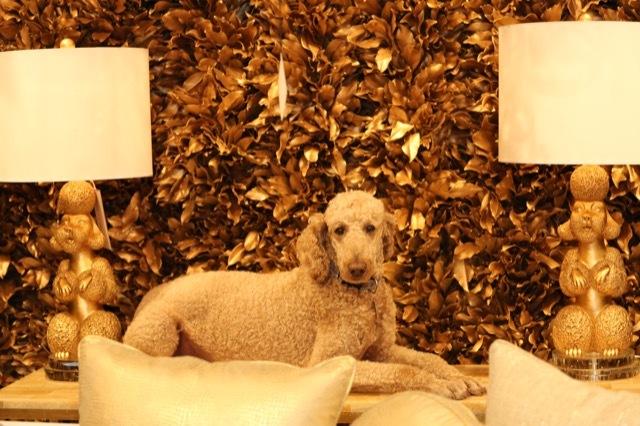 If you stop by the event, you can sign up to win one of our sassy editions of Ms. Morris’s famous Poodle table lamp—that would be Ms. Poodle to those of you who haven’t had the chance to drool over it in person as of yet! This still from “The Age of Innocence” illustrates hallmarks of classicism. 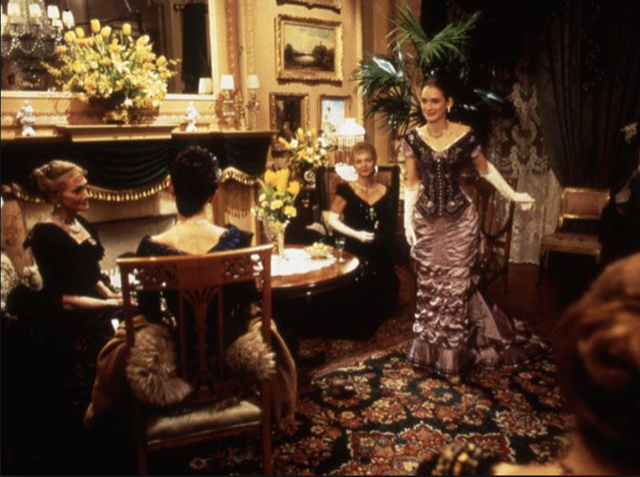 The taste of Old New York unfolds as a ballroom is dusted off for an evening of finery during which Daniel Day Lewis makes his way through the warren of drawing rooms in The National Arts Club in NYC as one of the main characters in the film, Newland Archer. We at Currey & Company hope the year ends on a grand note for you and your family: may all of your celebrations be harmonious ones! Currey showroom images by Beth Tilley Green. This entry was posted in Currey & Company, Products and tagged cabinets, Chandeliers, design influencers, Events, Gray, Holiday, organic shapes, Silver, Table Lamp, Wall Sconce, White on December 14, 2017 by Saxon Henry.